The last time I read Macbeth was in college, so I was long overdue to read it again. It is the perfect Shakespeare play to read during the month when the veil between worlds is thinnest. I was barely into the play when I decided what I would be writing about: the symbolism of the number three in the play. Before looking at the text, I want to provide a little bit of historical information which I think is important to understanding the meaning of the number three in Macbeth, which I refer to as the unholy trinity. During the time when Shakespeare was writing, England was experiencing profound social upheaval, which was the cause for much concern. The primary cause for this concern was the Elizabethan belief that what happens on earth is a reflection of what is happening in Heaven, or, “on earth as it is in heaven.” So the displacement of the nobility by the merchant class, and the fact that the traditional patriarchal rule of England was now controlled by an unwed woman, led many to speculate that the realm of the divine was also being turned upside down and that unholy beings were possibly assaulting the divine throne of God. This idea is key in the play and is expressed in the very first act when the three witches say in unison: “Fair is foul and foul is fair.” If you want to find out more about this, I highly recommend The Elizabethan World Picture by E. M. W. Tillyard. (Click here to view the book on Amazon). OK, now on to the number three. First, it is a fairly common belief that bad luck comes in threes. I have personally noted that when someone I know dies, the death is usually followed by two more deaths of people to whom I am acquainted. This idea, accompanied by the possibility that the Holy Trinity in Heaven may be usurped or turned topsy-turvy by an unholy trinity, sets the stage for Macbeth. 1. Witch: Thrice the brinded cat hath mewed. 2. Witch: Thrice and once the hedgepig whined. I mentioned earlier the idea that deaths come in threes. It is worth noting that there are three murderers who are employed by Macbeth to carry out the foul deeds. There are also three murders that are actually performed on stage, those of Duncan, Banquo, and Macduff’s son. Even though there are other murders (such as that of Lady Macduff and the rest of her children), there are only three that are actually acted out as part of the play. In addition to the ones I mentioned, there are many more instances of three throughout the play, mainly the repetition of words three times. There is also a great discussion between the Porter and Macbeth regarding the three things that drinking alcohol provokes in a person. I encourage you to dust of your copy off the cursed play and read it during this dark season, and when you do, take notice of how often the number three appears, directly and indirectly. Thanks!! Would love to read your post. Feel free to share it as a comment. Ahh, yes, the one about time!! Totally remember that one. Great post, as are all the one’s that I have read from you. Thanks for following my blog and a huge thanks for all your thoughtful post on your blog. Cheers!! 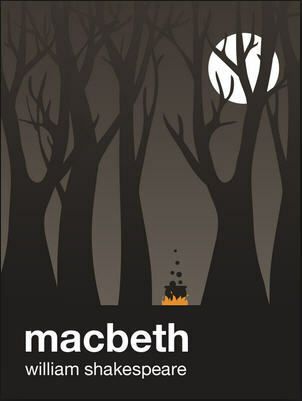 I think Macbeth is truly Shakespeare’s greatest masterpiece. To do so much in such a short space is a mark of genius. I thoroughly enjoyed your post and look forward to many discussions about Macbeth and the symbolism Shakespeare employed. “Thrice to thine, and thrice to mine…and thrice again, to make up nine.” Peace! I believe it’s the shortest play he wrote. I’m always fascinated by his use of symbolism in the play. Blood, of course, is one of the most powerful symbols. It’s literally “steeped in” blood. And so many memorable passages. Time to get out one of my dog-eared copies and re-read. Dog-eared? Why don’t I be more accurate and say “one of my falling to pieces” copies. Ah, The Elizabethan World Picture! Were we in the same college lit class together? 🙂 I still have my copy of that slim little book (and have even reread it!). Nice post. Such an interesting post, dear Jeff… I really enjoyed reading about this holy number three in Shakespeare ‘ s ” Macbeth”. I’m glad that you found this interesting. I do love Shakespeare. In fact, I went to see Henry V performed this past weekend, which was quite good. Thanks for your encouraging posts, and have a beautiful day! Hi Margaret! I’m glad you liked the post. Three is a very mystical number and it’s used brilliantly in Macbeth. As far as bloody goes, I watched Roman Polanski’s film version, which he made after the Tate/La Bianca murders and it was “most foul and bloody.” Thanks for your comment and I hope you have a great day!! I finally caught up to this post. Macbeth is my favorite Shakespeare play. I taught it to high school seniors for twenty years, and they thoroughly enjoyed it. The symbolism is rampant. “Fair is foul” is also a recurrent theme.Thank your for your “Three” discussion. Thanks for your comment. You’re right, the “fair is foul” theme is also a main component in the play. Hope you have a wonderful new year. The repetition of threes is interesting. I wonder if it lends any credibility to the “curse” on the play…. since a lot of superstitious incantations come in threes, too. (Beetlejuice, Rosemary’s baby, idioms such as “three times the charm,” “bad things come in threes,” etc. Hi Alex. Very possible. Three is certainly one of the more powerful numbers, as far as numerology goes. I believe that the laws of karma are threefold also. I had spotted the symbolism of three but such a joy to read your eloquent explanations. Great post…thank you. Hi Sarah. Thanks you for taking the time to comment. I’m glad you enjoyed the post. Macbeth is such a rich play. I could spend days poring over the lines.